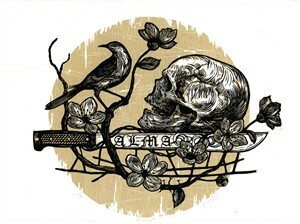 Daniel Hernández is a printmaker based in Oaxaca City. 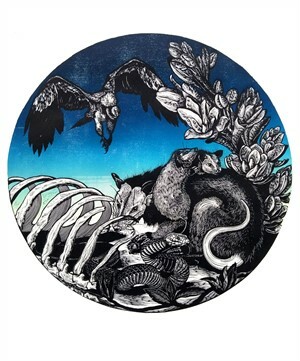 Expert in linocut and woodcut techniques, Daniel's work explores the beauty in death and temporality of life. Join us Friday, February 8, 6-8pm at Iconik Coffee at 314 S Guadalupe Street for the opening of Querida Mortem. The exhibition runs through March 31. Daniel Hernández (b. 1995) received a Visual and Plastic Arts Degree at the Benito Juárez Autonomous University of Oaxaca School of Fine Arts, with a specialization in graphics. 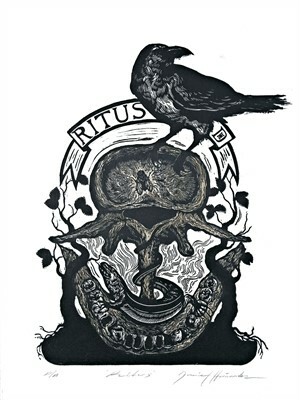 He has participated in printmaking shows such as “La Matanza Imagen De Una Identidad”, at the Institute of Graphic Arts of Oaxaca, 2015. He was selected in 2016 to the 5th Biennial of Graphic Arts Shinzaburo Takeda in Oaxaca. He has participated in the 2016 ICPNA printmaking biennial, Santiago Chile, as well as "Voices from Oaxaca: Social and Cultural Expressions" at the Kennedy Heights Arts Center, Cincinnati, OH, in 2017. 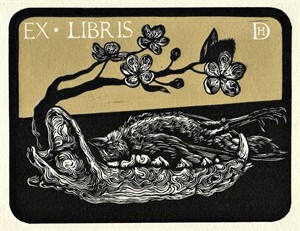 Hernández was selected in 2017 for the International Libris Competition, Ruse, Bulgaria, and lives in Oaxaca City. 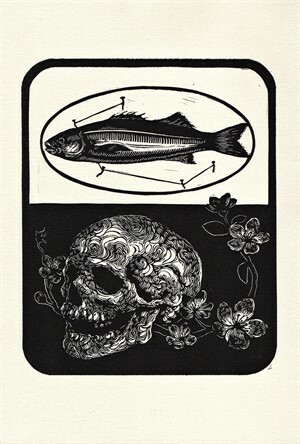 Daniel Hernández is a printmaker based in Oaxaca City. 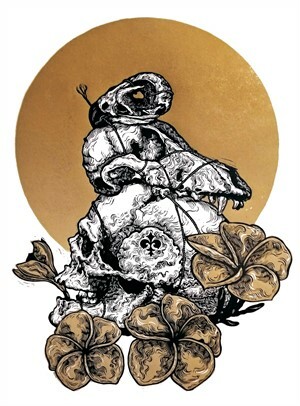 Expert in linocut and woodcut techniques, Daniel's work explores the beauty in death and temporality of life.Join us Friday, February 8, 6-8pm at Iconik Coffee at 314 S Guadalupe Street for the opening of Querida Mortem. The exhibition runs through March 31. ---Daniel Hernández (b. 1995) received a Visual and Plastic Arts Degree at the Benito Juárez Autonomous University of Oaxaca School of Fine Arts, with a specialization in graphics. He has participated in printmaking shows such as “La Matanza Imagen De Una Identidad”, at the Institute of Graphic Arts of Oaxaca, 2015. He was selected in 2016 to the 5th Biennial of Graphic Arts Shinzaburo Takeda in Oaxaca. He has participated in the 2016 ICPNA printmaking biennial, Santiago Chile, as well as "Voices from Oaxaca: Social and Cultural Expressions" at the Kennedy Heights Arts Center, Cincinnati, OH, in 2017. 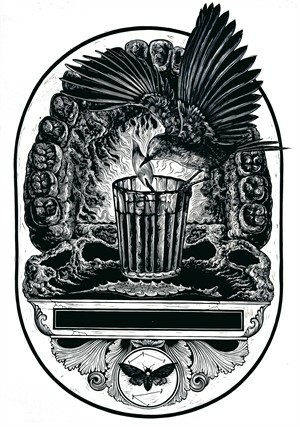 Hernández was selected in 2017 for the International Libris Competition, Ruse, Bulgaria, and lives in Oaxaca City.